TOPEKA, Kan. (May 21, 2014) – The Sports Car Club of America officially announced today that the 2015 SCCA National Championship Runoffs® at Daytona International Speedway will take place September 28 – October 4. The 52nd running of the event will be preceded by official test days, hosted by the Central Florida Region, September 25-27, 2015. Image: Todd Napieralski in the Touring 2 race at the 2013 SCCA Runoffs. The Runoffs returns to the 12-turn, 3.56-mile infield road course for the first time since 1969, as part of an annual rotation of venues that includes the 2014 event at Mazda Raceway Laguna Seca, October 6 – 12. The SCCA is no stranger to Daytona International Speedway, however, as the Central Florida Region annually draws hundreds of drivers to regular season events at the track. Club workers also staff the flagging and communications stations at pro events on the road course, including the Rolex 24 at Daytona. The locations for the Mazda Raceway Laguna Seca, Daytona International Speedway, and Mid-Ohio Sports Car Course (in 2016) events were announced in July, 2013. The SCCA National Championship Runoffs has crowned Club Racing National Champions in a winner-take-all, single race format since 1964. Through 24 separate races over three days, the 2014 edition will crown champions in 27 classes in the pinnacle event of amateur racing. “Though the SCCA Runoffs represents the best in amateur racing, it’s a professionally-run event, and we welcome the SCCA competitors, volunteers and staff to Daytona next fall,” Daytona International Speedway President Joie Chitwood III said. Preceding the event, the Central Florida Region SCCA will host test days from September 25 – 27. Unlike past Runoffs events, parking, registration, and pre-event tech inspections will be good from test days through the length of the event. Test day registration will be available as an option when registering for the Runoffs. The 2014 SCCA National Championship Runoffs at Mazda Raceway Laguna Seca includes an optional test day on Monday, October 6, followed by a qualifying session for each of the 27 classes each day from Tuesday, October 7 through Thursday, October 9. 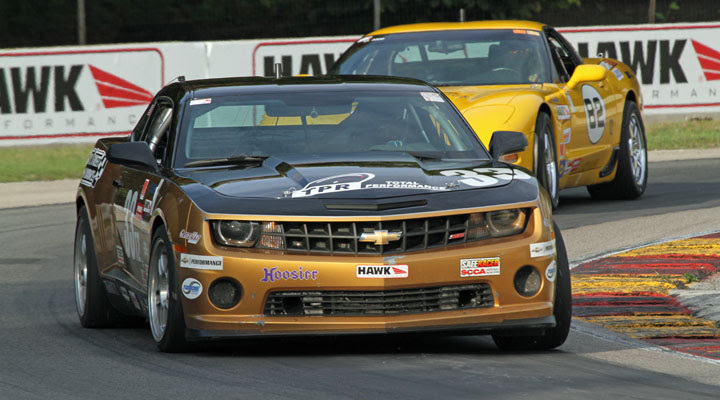 Friday, Saturday and Sunday feature the National Championship Runoffs races, broadcast live on SpeedcastTV.com. Tagged 2015, Road Racing, Runoffs. Bookmark the permalink.